Home » Do You Need Emergency Auto Glass Repair? Almost any time your vehicle suffers damage or has a broken part, it feels like an emergency. Of course, you want to repair the damage as quickly as possible. When it comes to damage to your windshield, however, it’s a true emergency if you can’t see out of it. Don’t drive if it is unsafe to take your care out on the road. If you’ve been in a motor vehicle collision or a victim of vandals, you’ll want somebody to take a look at it and begin emergency auto glass repair as soon as possible. If your insurance company covers the damage, they won’t want you out on the road at all until your glass has been properly repaired. This is for the safety of yourself as well as others on the road. Fitting your windshield repair into an already-hectic schedule is challenging, but it’s best handled as quickly as possible if you want to get back on the road. When you’re in need of emergency auto glass repair, you don’t have to let your car sit in the shop for days as you wait for parts. If you’re in need of a competent auto glass professional to take a look at your vehicle, please contact us. A mobile auto glass specialist will come to you and your car – whether it’s at work, home, or your in-law’s house – to begin the process of assessing the damage. 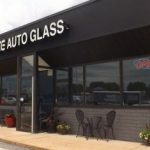 Once you have a quote, we can fit your car for the new glass on-location, and you can get back to driving.